Find My Workspace lists over 95% of the business centres market in Loughborough. Simply click Request Quote to check pricing for one office, or Add to Basket for multiple offices. Three storey Victorian period property fronting Ashby Road containing seven superbly refurbished serviced offices with onsite parking and visitor permit passes. Six offices designed to accommodate three users and one office designed for a single user (two currently available: one at £450pcm, second at £650pcm). Each office come fully furnished with desks, user and visitor chairs, storage, data and voice ready with both CAT 6 cabling and wireless access. Option available for individual offices to install their own router. The property is alarmed with an access controlled door entry system and double glazed with gas central heating. Electrics are wired independently to each office. 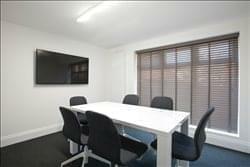 A shared six person boardroom available with full I.T. integration, including LED projection TV with VGA and HDMI connectivity along with conference calling facility.Kitchen facilities offer a break out area, including fridge, microwave, coffee machine and storage. A pigeon hole service provides easy management of mail for each user. Additional administration services, including secretarial and printing facilities can be provided. Single monthly charge includes office rent, allocated parking, building insurance, utilities and cleaning service. Spaces available individually or in a combination of offices with minimum 6 month term. Simply bring your team, files and start working! This period property is set within beautifully landscaped gardens in a popular area of Loughborough. This Grade II property provides contemporary furnished office suites with original Georgian features. The offices are accessible 24/7 and come with kitchen access, high-speed broadband, WiFi and Cat 6 cabling throughout. The space also provides segregated data networks for each company, ensuring an efficient, safe and modern working environment. The centre also features entry phone, copy and printing facilities, on-site management along with a bookable meeting room with presentation facilities (which can be used at at no extra charge). This attractive Georgian building oozes character and offers superior serviced office space for your business. High quality, air-conditioned, furnished office space with fast broadband and ample parking. The environment is friendly and professional with a variety of offices and open-plan format of single desks with a lift to all floors. Meeting rooms, kitchen facilities, breakout area and outside seating. Within walking distance of Loughborough Mainline Train Station. 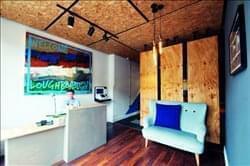 This centre offers quirky and vibrant co-working space which is conveniently close to Loughborough’s town centre. The office is perfect for those who want to work along-side others in an inspiring environment with a sense of community. The workspace is bright, modern and open plan and offers users access to a meeting room. 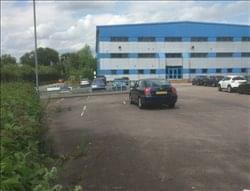 There are free car parking spaces on the street and the site is CCTV monitored. The centre boasts a fresh bean to cup coffee machine, snacks and a kitchen for tenants use. A dedicated on-site manager is there for assistance and advice when needed. Tenants have access to high-speed WiFi, printing facilities and private lockers. To obtain information for your selected Leicestershire Business Centres, please tick the "Add to basket" box for each office you prefer and complete the form below. We will then send a detailed report via email.